Scrolling down brings more items into view. 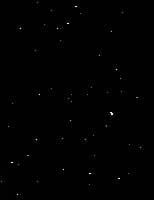 Enjoy~! 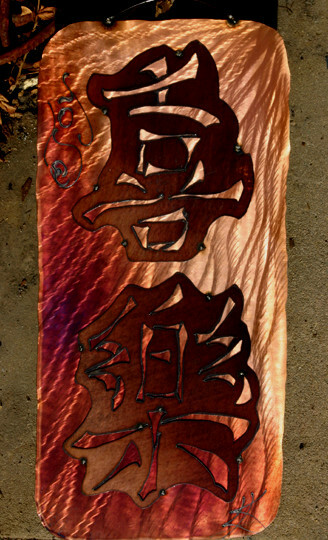 Chinese character for "JOY" with it written at top left corner. 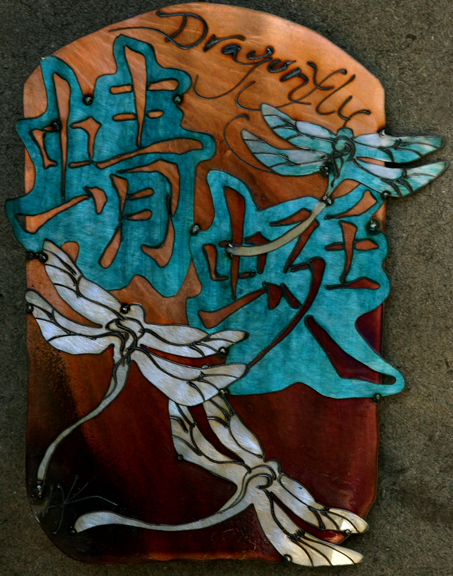 Chinese Characters for "Dragonfly" with accompanying creatures. 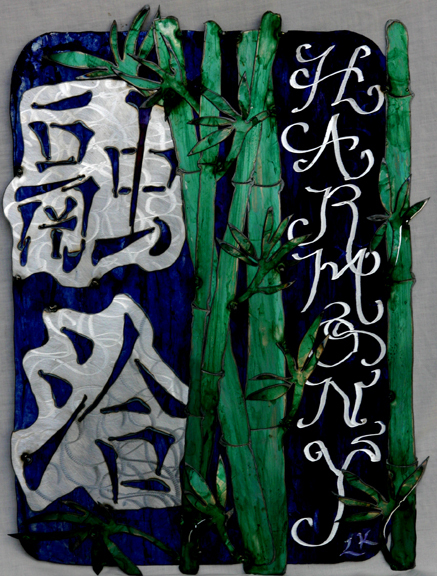 Chinese characters for "Harmony"; framed by bamboo stalks. 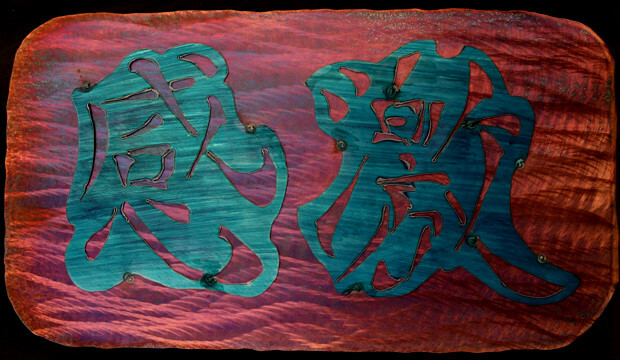 Chinese characters for "Gratitude" on a horizontal plane. 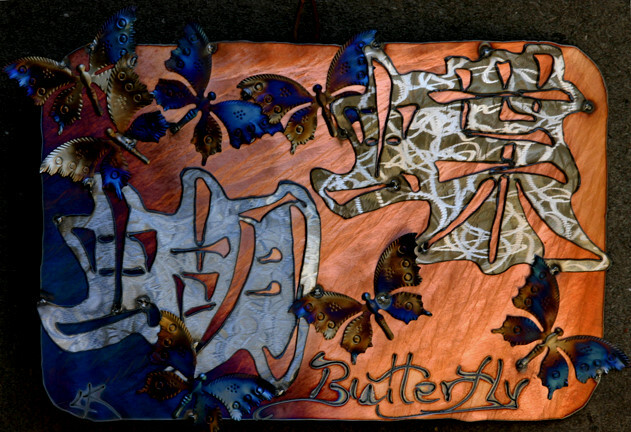 Chinese characters for "Butterfly" with floating winged insects to embellish. 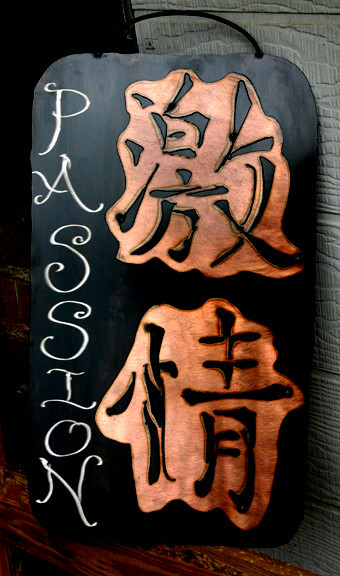 Chinese characters for "Passion" with it written elegantly down one side. 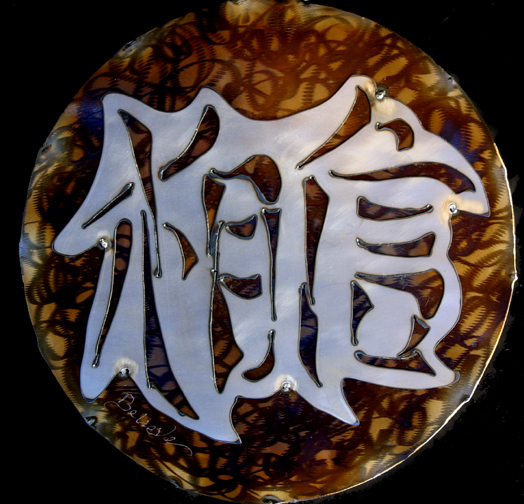 Chinese characters for "Believe" on a round motif and written clearly on the back. 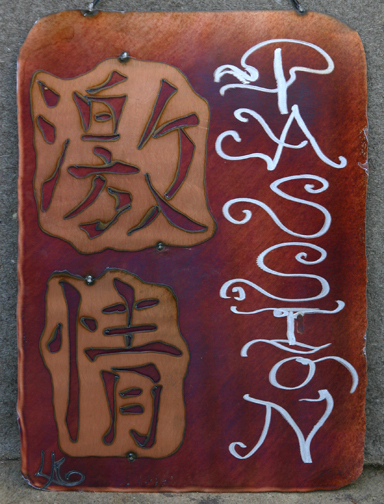 Chinese characters for "Passion" with some fire type patina work. 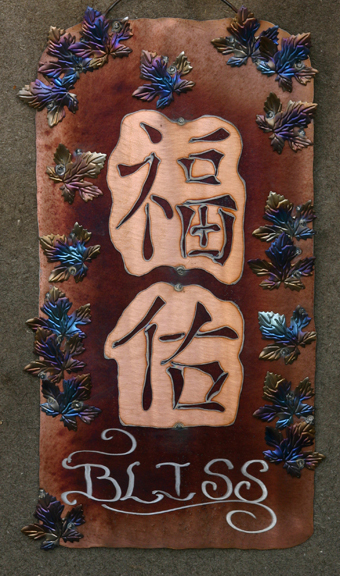 Chinese characters for "Bliss" with little heat colored butterflies.